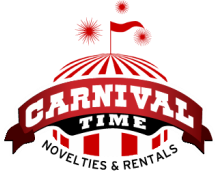 Carnival Time Game Rentals — Carnival Time game rentals has the largest inventory of games and carnival tents in Western Washington for your next event. In business over 20+ years ready to make your next event a success. We have a lot of other in-house services we offer, so if you need anything, we probably have it. If we don't have it we'll help get it for you! Tacoma/South Sound area.. extra travel for outside a 20 mile radius. Delivery/setup/pickup can extra based on the order size.